Let Time & Pay help you manage a key part of your business with our Automated Time and Attendance system! Tracking your employees’ time at work is difficult. It is also costly and time consuming. However, it is essential for ensuring compliance with Labor and ACA regulations and controlling labor costs. The new OT regulations make accurately tracking employee’s time at work even more essential. View a short video on all the benefits of our Automated Time & Attendance system. Also, learn more about our 30 day Free Trial! Tracking employees time at work is an essential part in payroll. The American Payroll Association and many corporate studies have figured out that businesses will spend an average of 6 to 7 minutes per employee, per pay period, calculating hours worked. Furthermore, the costs of tracking work hours manually and adding up time cards can be significant no matter how many employees you have. Even then, there is so much more to tracking employees time at work. The Labor Department is focused on enforcement of Wage and Hour laws. Accurately tracking employees time at work is very important for FLSA compliance. The number of lawsuits involving wage violations increases every year. Accurate timekeeping is also a key element in The Affordable Care Act. 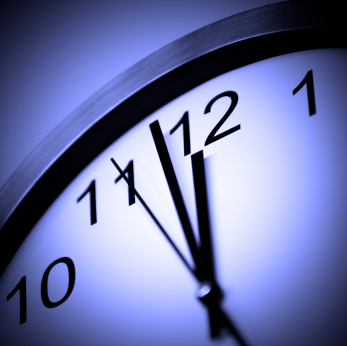 Accurate timekeeping is also essential for controlling labor costs. Studies have shown that employees will be overpaid up to 8% of their annual wage due to errors in hours worked! Have you considered the cost of “It’s only 5 minutes….? Read more about the savings you can realize by utilizing an automated time and attendance system? Time & Pay’s automated time and attendance system eliminates timekeeping work and errors. Our system will automatically record employee’s ins and outs, lunches and breaks, and accurately calculate hours worked. This includes overtime as well as detailed attendance information, reports, and interface with payroll for easy processing. The system will track labor movement from department to department and/or job to job. Simply put, you can eliminate your timekeeping work and more by using Time & Pay’s automated time and attendance system. You can also easily monitor the attendance habits of your employees, control unproductive time, and precisely define your labor costs; making it very cost effective. This will help ensure compliance with Federal and State labor regulations. We will also provide you with all the advantages of in-house ATA systems without the big start up costs or maintenance expense! To view a short video on the cost benefits of our ATA system, visit our Benefits of an Automated Time and Attendance System page. Ask about our 30 day FREE Trial! Contact Us to learn more!